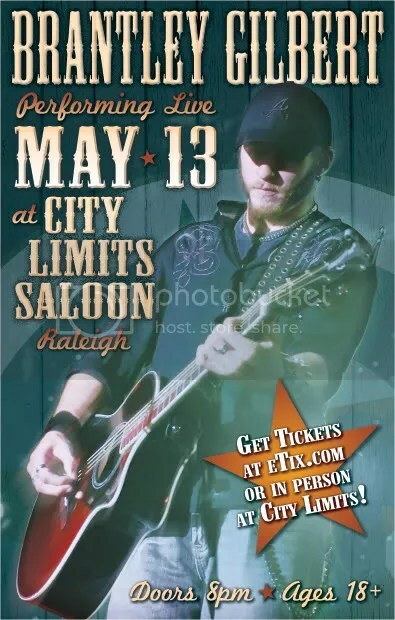 Renee and I are working on our game plan for tonight and it definitely includes City Limits Saloon for the Brantley Gilbert (sorry, it’s a MySpace link) show. Brantley is one of those artists that I have the pleasure of hearing on XM Radio, but if you’re stuck listening to just local stations, you probably aren’t hearing enough of this guy! He’s got a voice that’s a little country, a little rock ‘n roll… untainted by Nashville’s increasing lean toward pop. PS #2 – Our local homie, Brian Davis (LIVE! ), will be opening for Brantley. Now THAT’S a good lineup!